SKU: HPGDK. Category: Hockey Products. 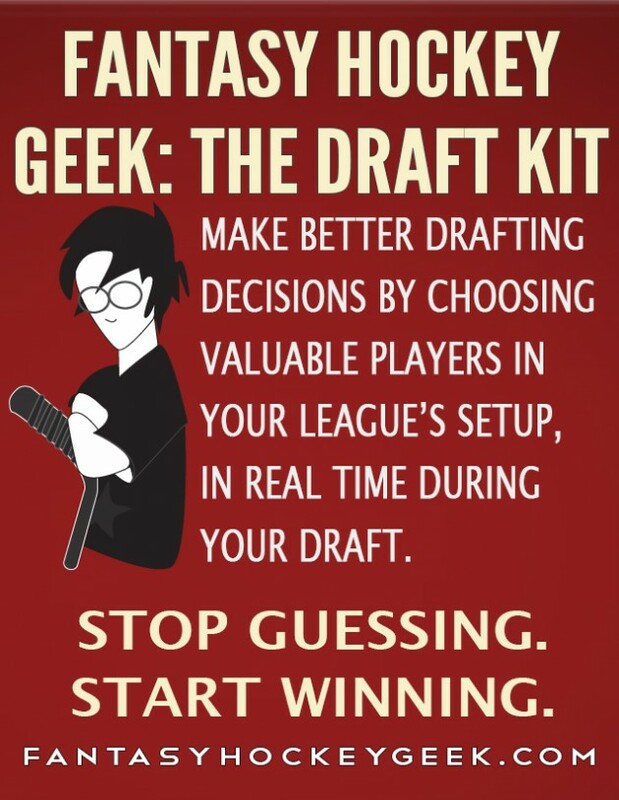 Tag: Fantasy Hockey Geek. Premium Feature! Take Dobber's Draft List (released August 1st every year) to another level. Customize your list based on the size of your league, your needs for each position, as well as the weighting of each scoring category. 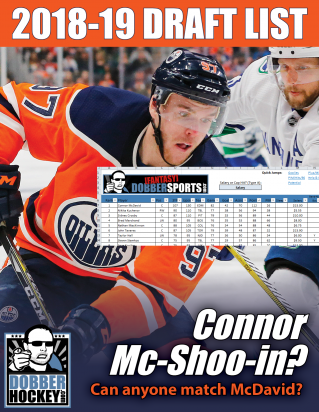 Dobber's projections are the best in the business, but how do they fit your specific league setup? We have done the work so you don't have to. The Draft Kit is built around the Customized Player Rankings, which alligns your players based on your particular stat categories and roster setups. 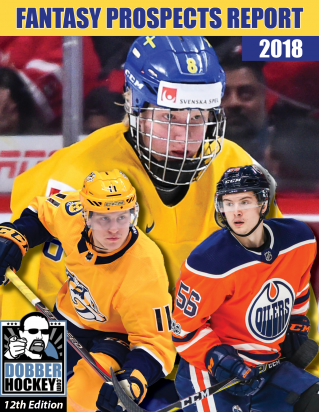 We have available more than 50 different stat categories and there are an infinite number of roster setups out there – a 2C/2RW/2LW/6D/2G is much different then a 4C/6W/4D/1G (as an example). Geek customizes your player rankings based on your league! 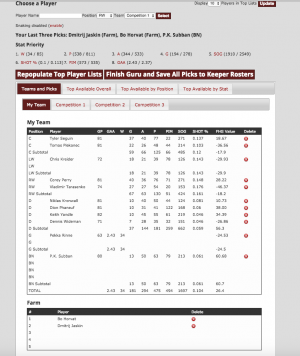 As a bonus – we have a Draft Guru tool, which provides advice on what players are the best fit for your evolving team as the draft unfolds (*provided it unfolds slow enough that you can add the players to the teams that draft them) so you make the right picks early, get the best late-round steals, and best value out of every pick. There's simply no better way to get ahead at the draft. Another Bonus! If your league is run through Fantrax, this is all automated! 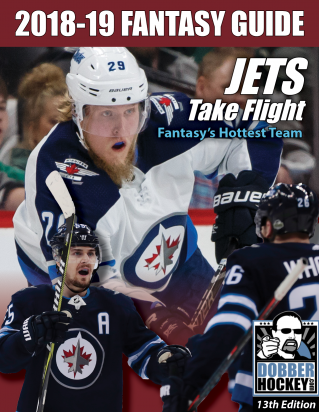 Sync your Fantrax league into our tools and it will generate rankings (and the Guru) for you – taking 15 minutes of work and getting it done for you two or three! The bottom line is that if you're in a multi-cat setup, the Draft Kit gives you a massive competitive advantage because it systematically guides you to maximizing value. 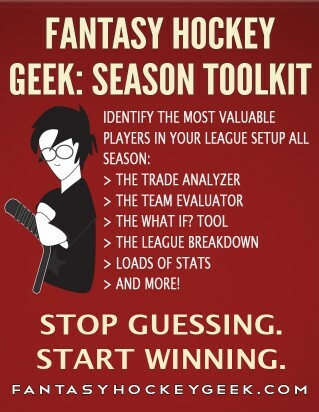 If someone else in your league is using it and you're not, you've got a serious uphill battle ahead of you. If you are serious about winning and getting an advantage over your competitors – this is a no brainer. 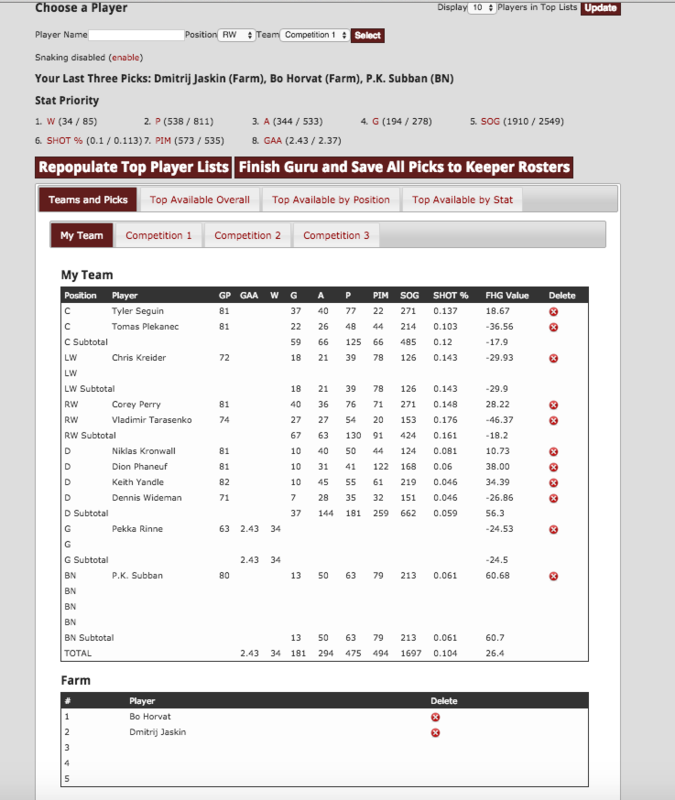 Allows you to take a very objective view based on your league settings and identify those players who are over/under valued based on your format. This is a huge advantage in the draft and also when making trades.